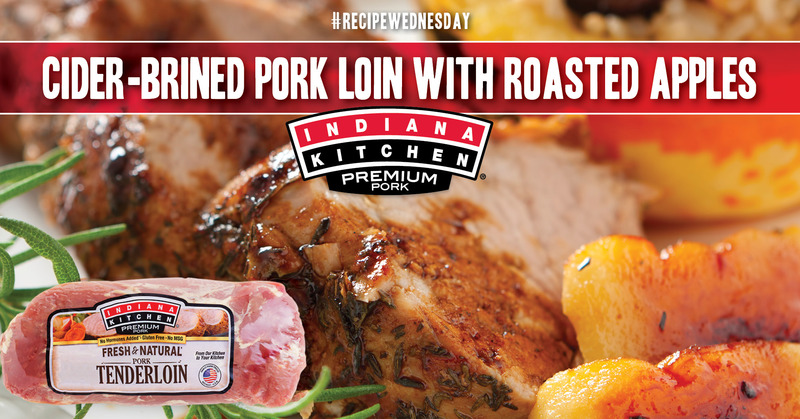 Savor a tangy ethnic flavor with this unique dish featuring a tender Indiana Kitchen pork loin. In a small bowl, combine the brown sugar, vinegar, ketchup and soy sauce. 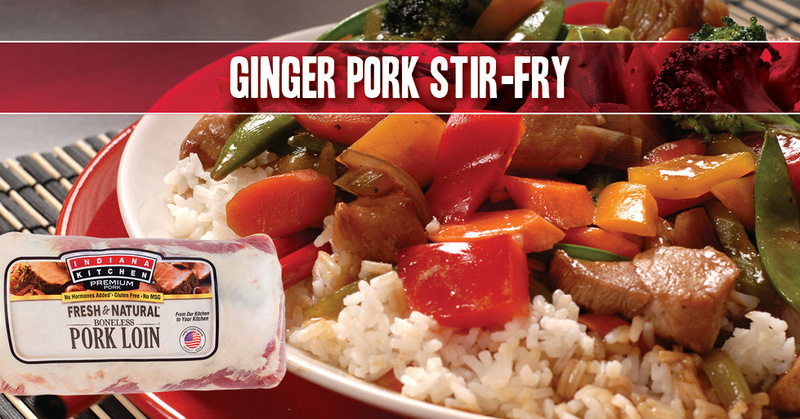 Pour half into a large resealable plastic bag; add pork. Seal bag and turn to coat; refrigerate for 30 minutes. Set remaining marinade aside. After 30 minutes, drain and discard marinade from pork. 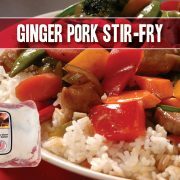 In a large skillet, cook pork in oil for 3 minutes. Add the onion, carrots, green pepper, garlic and ginger; saute until pork is tender. Add reserved marinade. Bring to a boil; cook for 1 minute. Stir in the pineapple. Serve with rice if desired. 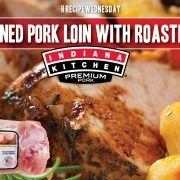 Freeze option: Cool pork mixture. Freeze in freezer containers. To use, partially thaw in refrigerator overnight. Heat through slowly in a covered skillet, stirring occasionally and adding a little broth or water if necessary. Serve over rice. 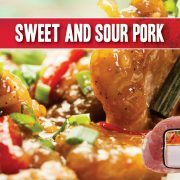 In a large skillet, cook pork in oil for 3 minutes. Add the onion, carrots, green pepper, garlic and ginger; saute until pork is tender. Add reserved marinade. Bring to a boil; cook for 1 minute. Stir in the pineapple. Serve with rice if desired. 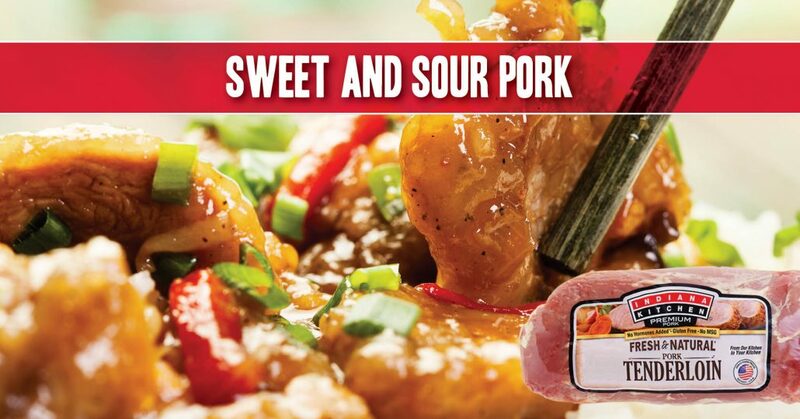 Freeze option: Cool pork mixture. Freeze in freezer containers. To use, partially thaw in refrigerator overnight. Heat through slowly in a covered skillet, stirring occasionally and adding a little broth or water if necessary. Serve over rice. Add reserved marinade. Bring to a boil; cook for 1 minute. Stir in the pineapple. Serve with rice if desired. Fry bacon to desired doneness. Set aside to cool. Then crumble into small pieces. While bacon is frying, grate apple (or chop very finely). 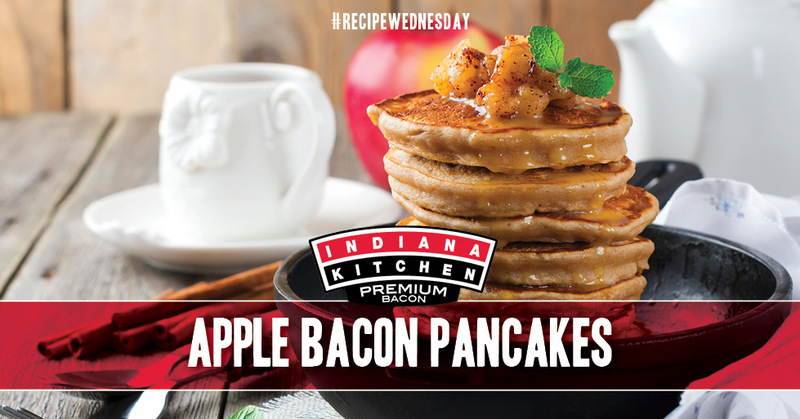 While bacon is frying, prepare pancake batter by mixing flour, baking soda, salt and cinnamon. Then stir in eggs, milk, vanilla and oil until mixture is smooth. Fold in half the bacon crumbles and grated apple. 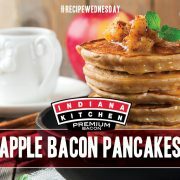 Heat griddle or skillet to medium heat. Add batter 1/2 cup at a time to make 4-inch pancakes. Wait until batter bubbles, then flip, cooking for another 30-60 seconds. Top pancakes with maple syrup and the remaining bacon crumbles.